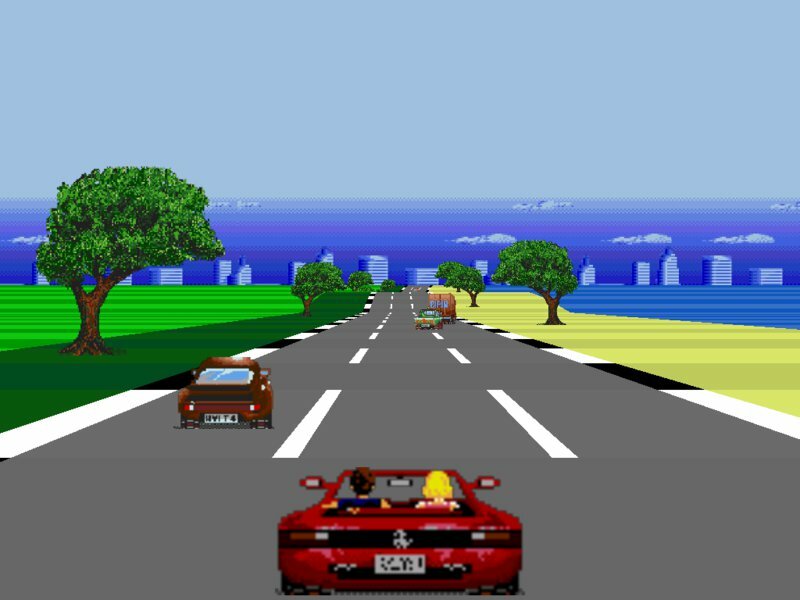 The big plan is to try to make an indie game/engine, but in case I'll fail to do that - I plan to at least try then to start a modding community/forum around the engine - for all the retro racing "OutRun"-style lovers. I'm making the engine very craftable, and it sure can be endlessly enhanced. Do you think it's possible in our modern days to succesfully build modding community around retro-ish engine that was not modded before at all? Is retro racing a thing? With some potential modding fanbase? ...if someone is a good C++ coder and wants to join...you know my PM. SFML experience is an advantage. I wonder. Does this modern era help or hurt such an undertaking? It would probably be a very slow pace, taking on new members, until a few cool mods are released. Added to that is a huge wonder retro racing communities and mods NOT existing, and like a whole area of retro gaming not represented in modding - and one with pseudo3D look and HUGE modding potential. Thank you Really far from demonstration, still struggling through, with great love to the subject to keep me going through many moments of frustration. I don't really like classic racing games nor do I play any new ones. The only racing game i've ever enjoyed playing is called "Road Blaster" from 1985. It's gameplay consists of on-screen instructions overlaid over pre-recorded full motion video animated footage of high-speed chases and vehicular combat. That said I have to add that I do have a zest for modding and indy projects. So i'm really curious to see what you are up to, which routes you are about to take, which ideas you have in mind, what kind of game you will bring to life. I'm not a fan of drive&shoot, maybe I'm not a majority representative, but that's what I prefer. For me driving is fun enough. Today played again "Top Gear 1/2", "Lotus 1/2" and such retro racers on SNES and MegaDrive (retropie) and what I can say - so much fun, just fun as a game, challenging, interesting, all those interesting settings, obstacles, competing other cars. Maybe it's just my thing, but who knows, in such a big world - I think there is a chance there are more retro racing fans like me, even if those are not in majority. I'm not against adding shooting option eventually, but that will happen only much later and only under pressure. ...currently working on adding cars to the road, wrote AddCars and DrawCars functions, somehow cars still don't display on the road, will look into that. First to display stationary cars, then make them move, then add them AI, then - collisions. Yesterday improved hills and curves generation. My Route is track crafting - in a direction of world/settings crafting (scenery, objects, backgrounds, landtypes) and not manual curve-shaping + more modern arcade NFS-type gameplay (still with fixed view). In such games I love to experience different settings, almost like traveling, I love to travel in car, even as passenger. I want to make the driving fun - and worlds - easy to build and edit, mix and match (like for different road sides)...don't want to reveal too much yet. There are some big ideas like Travel Mode and World Map, but I'm yet far from there. You get my route now? I might get more help later from our team coder, in a direction I can't yet reveal. [...] In such games I love to experience different settings, almost like traveling, I love to travel in car, even as passenger. I want to make the driving fun - and worlds - easy to build and edit, mix and match (like for different road sides)...don't want to reveal too much yet. Allow me to share further ideas that come to mind. Looking at you image I could imagine a somewhat open world with a bunch of bifurcations where the player can choose to ride the highway, offroad, the city streets and so on. Maybe at the next traffic lights there is a group of douchebags who provoke you to impress them with some kick start skills. Or one has to jump obstacles off road... and so on. I'm thinking of lil optional minigames alonge the road. That's actually a super awesome idea!!! I'd love to see that! This is my main inspiration, childhood memories of me and my family traveling with our car (red Zhiguli ) to the Black Sea (all-day trip) through Ukrainian landscapes, I always loved to stare at the window, loved the sudden stops, directions asking, villages, crop fields, road picnics for breakfast with eggs and such. This is my biggest inspiration in making this engine. Get back to that safe and curious feeling, of exploring, safety, family warmth. I just need coding help, heh. In "Travel mode" I plan to allow for track creator of that particular track part to set Road Stop to share thoughts, personal and family memory stories and memories (or to memorize someone important), ideas, agendas...like places you visit. As tracks and worlds can combine to big worlds this can have a huge traveling feeling, with visiting, talking and even leave guestbook remarks those track makers can later read...Stopping to hear someone. Allow me to share further ideas that come to mind. Looking at you image I could imagine a somewhat open world with a bunch of bifurcations where the player can choose to ride the highway, offroad, the city streets and so on. Well, alot of themes are pre-planned with easy new theme crafting as well, I did plan road splits and blocks like in OutRun too. Still, this is not a full 3D world, just road with possible splits, maybe even merges. Find me a good coder to help My current coding skills currently can't ensure this great idea will come to...a good ending. Alot yet to code - other cars, tunnels, cliffs, bridges, road obstacles, particles, weather effects/fog, crossing traffic and much much MUCH more. Didn't even start on UI/interface. This idea needs futher coding assistance, what can I say. Meantime struggling myself, spending all of my free time on it. Struggling with UpdateCars function meantime. Oh wow! That's actually looking really cool! Doing all can, but with my limited coding skills I'm not sure I'm succeed eventually to build something worthwhile. Got good understanding though of retro racing code/rendering. [...] my main inspiration, childhood memories of me and my family traveling with our car (red Zhiguli ) to the Black Sea (all-day trip) through Ukrainian landscapes, I always loved to stare at the window, loved the sudden stops, directions asking, villages, crop fields, road picnics for breakfast with eggs and such. looking forward to further updates of this thread.